Click HERE to download a printable version of the St. John Paul II Athletic Policy. The mission of the St. John Paul II faculty and staff is to teach children academic skills and interpersonal skills. Academic, social, and emotional well-being is fostered at St. John Paul II Regional School. We guide students toward personal responsibility and the decision-making skills that they will need to be successful. Our school is a warm, caring, and safe environment where boys and girls can work diligently, achieve academic success, and show courtesy to peers and to all school personnel. We believe that all can achieve; our job is to offer students their path to achievement. Registration forms can be picked up in our main office. To participate in a student sport at St. John Paul II, student athletes must maintain a grade of a C or better in all subjects. Each student wishing to join a team for the school year will pay a $40 participation fee for each sport played. These fees are used to purchase equipment and replace uniforms among many other items related to our athletic program. Fees are to be paid before the first scheduled game. If the fee cannot be paid, please call the school office. Also, students must also sign a St. John Paul II Catholic School Athlete Contract and submit a medical release form to the coach of the sport. The Athletic Director (AD) is appointed annually by the principal and is responsible for coordinating athletic programs. He or she will work closely with John Paul II PTA, school board, pastor and the principal. The AD will be directly accountable to the principal, the school board and the PTA. He/she will attend and make appropriate reports at all meetings when requested. The operation of the entire school program is the responsibility of the principal, but the AD will be delegated some responsibilities in this area from time to time. Responsibilities for all fiscal matters, while split between the principal’s and the School Board Finance Committee, could be delegated to the AD. Report to the principal any behavior (by coaches or players) judged inappropriate according to Catholic school standards. The AD is encouraged to delegate responsibilities to the School Board and/or ask for assistance from the principal in identifying appropriate individuals for assistance. Coaches serve a key role in the development of the student athlete and are expected to serve as adult role models for players. To prepare coaches for this volunteer assignment, each coach is required to attend a coaches retreat at the beginning of the school year. The half-day retreat is focused on the spirituality of sports and how it ties in to the overall experience of a Catholic educational experience. Each coach is directly accountable to the AD and St. John Paul II principal. Coaches will not make purchases using St. John Paul II or team monies or sign any contracts before first providing the AD with a check request three days in advance of purchase. Setup and breakdown of the gymnasium is the responsibility of the coach. Coaches set the example for our student athletes by exemplifying ethical behavior in coaching style, appearance, leadership and communication. The selection and removal of coaches is the responsibility of the AD and St. John Paul II principal. A coach can be removed for any violation of the Coach’s Contract or the St. John Paul II School Athletic Policy. 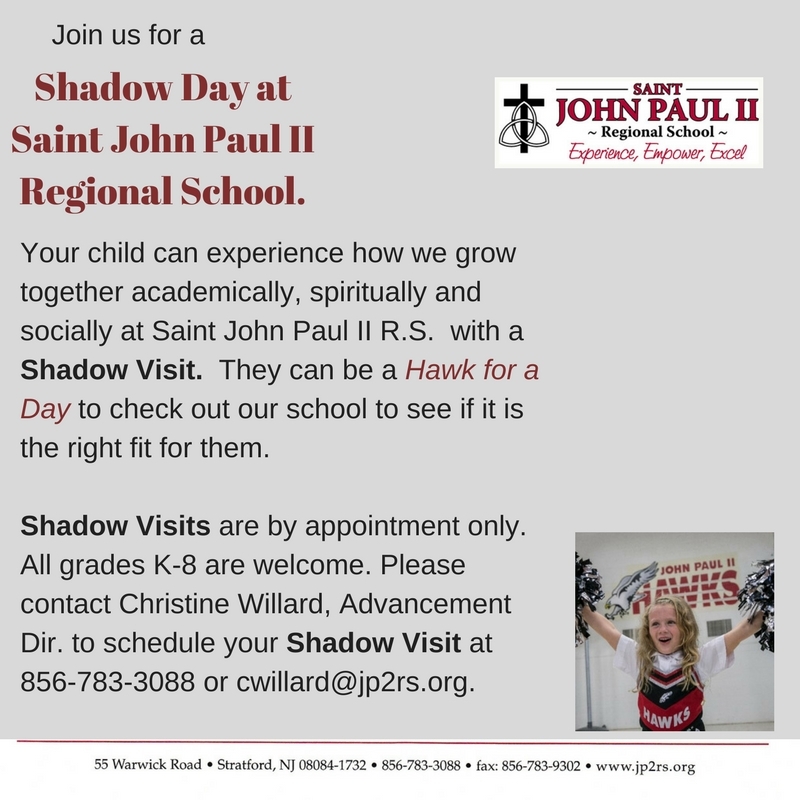 For St. John Paul II Catholic School students to grow in their faith in God and achieve academic excellence it is important that our students’ parents be involved in the student’s education. The school seeks parent help with school activities and school fundraising activities. Even though it is desired that each parent volunteer to the school out of a willingness to further their student’s education, the school asks that each parent complete at least two bingo events and one athletic fundraising event for each child enrolled in a sport. Once rostered, a student may not quit one sport to join another which is running concurrently. A student is considered rostered if he or she attends the first two scheduled practices. The student who elects not to participate must inform the coach prior to the third scheduled practice. 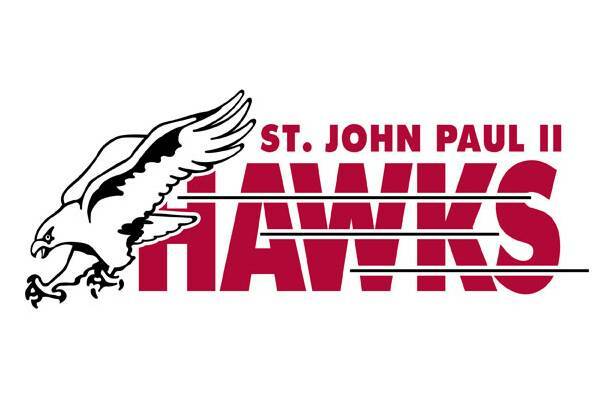 St. John Paul II School Board recognizes campus facilities are a valuable resource of St. John Paul II Regional School and are to be enjoyed and equally available for all school athletic activities. The principal, in conjunction with the AD, shall establish a uniform procedure for handling and scheduling use of facilities by such groups. However, the principal has authority to grant or deny all requests for facility usage. All activities will be terminated by 9 p.m.
Fundraising is an essential part in keeping our athletic program going. These guidelines are a means to ensure fundraisers provide a rewarding experience for our volunteers and student athletes. Coaches must submit a check request to the AD prior to contract being signed. The check request form is available of the Athletics Form page. All requests must be presented to the AD and then the principal a minimum of three days in advance. The principal shall have authorization on day-to-day check requests for league fees, refunds, referees, bulk snacks, etc. The School Board’s Finance Committee and school pastor will review requests for end of season events such as parties, banquets, etc., and surplus monies. The principal, from time to time, may consult the board on spending requests should its approval be needed.